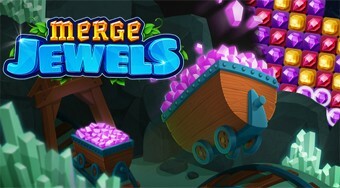 Do you like Merge Jewels? Share it with your friends. Klick as quickly as possible on groups of the same colored diamonds, remove them away from the board and try to upload as many points as possible.